Brexit keeps turning up in the news but how important is it really and what impact could it have on us in the U.S.? These 9 Brexit lessons will have everyone listening to you the next time Brexit comes up in a conversation. We’ll take a look at how Brexit started, where it stands today and what the future might mean for all of us here at home. Let’s start by breaking down what “Brexit” means. Brexit is a word that was created as a shorthand way of saying that the UK is leaving the EU (European Union) by using the BR from the word Britain and the adding the word EXIT to it so you get BREXIT. Now let’s dive in deeper into the lessons we have, and can, learn from Brexit. Lesson #1 – What is the European Union (E.U.)? The European Union – often known as the E.U. – is an economic and political partnership involving 28 European countries. It began after World War II to foster economic cooperation, with the idea that countries which trade together were more likely to avoid going to war with each other. Today it is considered a “single market” allowing goods and people to move around, basically as if the member states were one country. Its currency is called the euro. Lesson #2 – Why Did the UK Choose to Leave the E.U.? The UK voted to leave the E.U. primarily to control immigration which has risen exponentially over the years. Because much of what Britain provides to its citizens, such as healthcare, is guaranteed to all people who reside in the UK, the growing roles of immigrants has put the UK in a tenuous economic and moral bind. Lesson #3 – Will Brexit Happen? The UK was due to leave the European Union on March 29th, 2019, until the E.U. agreed to delay the exit on Thursday, March 21st. 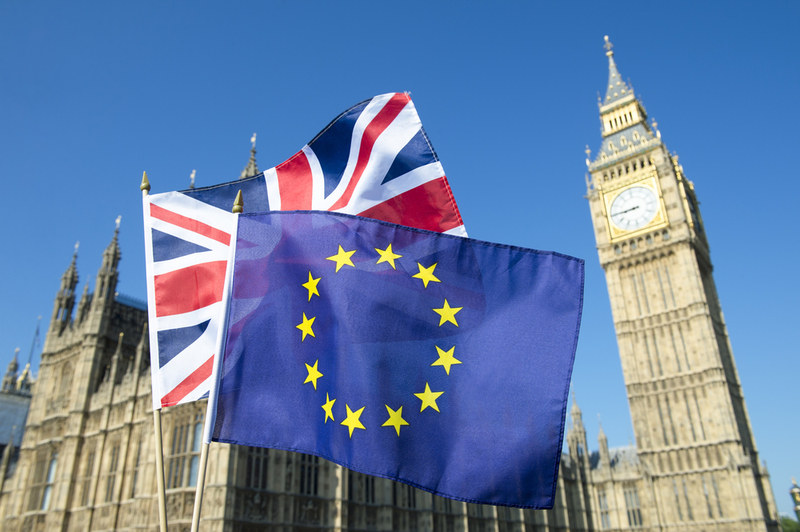 British lawmakers could delay until May 22nd if they can come up with a deal within the week. If they can’t, however, then the exit will happen by April 12th. Another scenario does exist, though. Brexit could be cancelled. An online petition garnering over 2 million signatures crashed the Parliament’s website. To cancel Brexit, passed on June 23rd, 2016, a new law would have to be passed by the U.K. As of now, the possibility of Parliament approving such a law is low. The main point of having a deal between the U.K. and the E.U. is to ensure as smooth as possible an exit from the E.U. 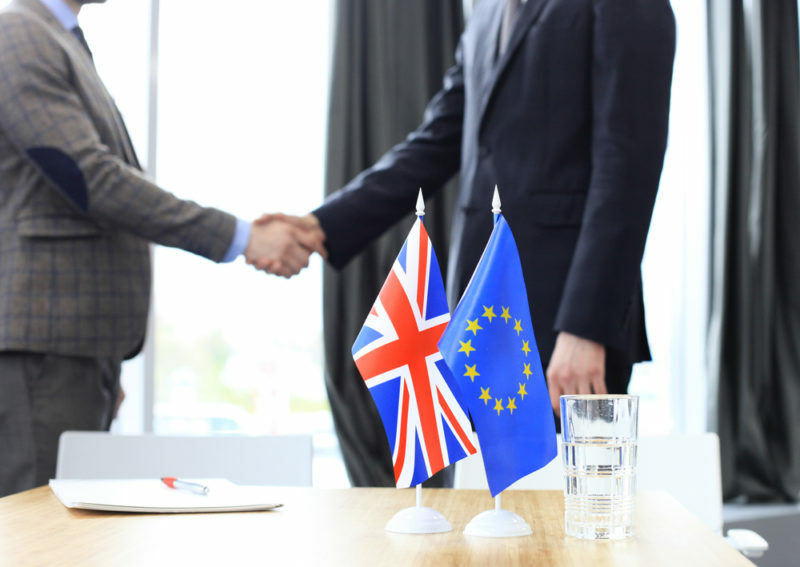 for businesses and individuals – and to allow time for the two sides to hammer out a permanent trading relationship. 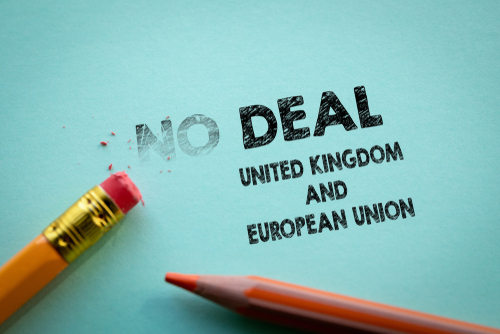 Lesson #4 – What Would Happen if the U.K. Left Without a Deal? The U.K. would sever all ties with the E.U. with immediate effect, with no transition period and no guarantees on citizens’ rights of residence. The government fears this would cause significant disruption to businesses in the short-term, with lengthy traffic backup and congestion at channel ports, as drivers face new checks on their cargos. Food retailers have warned of shortages of fresh produce and the National Health Service is stockpiling medicines, in case supplies from E.U. countries are interrupted. Government ministers and multinational companies with factories in the U.K. have also warned about the long-term impact on the British economy. Lesson#5 – What Would Be the Impact on the U.S.? The day after the Brexit vote, the Dow fell 610.32 points. Currency markets were also in turmoil. The euro fell 2 percent to $1.11. The pound also fell. Both increased the value of the dollar. That strength is not good for U.S. stock markets. Why? It makes American shares more expensive for foreign investors. As a result, gold prices rose 6 percent from $1,255 to $1,330. A weak pound also makes U.S. exports to the U.K. more expensive. It affects the U.S. farming and manufacturing sectors. The U.K. is America’s fourth-largest export market. Brexit also dampens business growth for companies that operate in Europe. U.S. businesses are the most significant investors in Great Britain. U.S. companies had invested $588 billion and employed more than a million people, as of 2016. These companies use it as the gateway to free trade with the 28 E.U. nations. Many have opened subsidiaries elsewhere in Europe to protect against a hard Brexit or no deal. Britain’s investment in the United States is at the same level. That could impact up to 2 million U.S./British jobs. The uncertainty over their future will dampen growth. Brexit is a vote against globalization. It takes the United Kingdom off the main stage of the financial world. It creates uncertainty throughout the U.K. as the city seeks to keep its international clients. U.S. stability means London’s loss could be New York’s gain. Lesson #6 – What is Happening Now? The UK Prime Minister, Theresa May, is trying to get a better deal from the E.U. Exiting the E.U. is very complex but it seems that all are united in the idea that they don’t want a leave the E.U. with no deal. The problem is that in order to do that, they have to agree on a deal, but cannot find one that the country can get united behind. One of the biggest issues is the 310-mile border between Ireland and Northern Ireland which will become the land border between the U.K. and the European Union. Neither side wants to see a return to checkpoints, towers, customs posts or surveillance cameras at the border and disrupt the free cross-border flow of trade and people. But they can’t agree on a way to do that. The U.K. and E.U. agreed to put in place a “backstop” – a kind of safety net to ensure there is no hard border whatever the outcome of future trade talks between the U.K. and the E.U. The backstop agreed between the two parties would keep Northern Ireland aligned to some E.U. rules on things like food products and goods standards. That would prevent the need for checks on goods at the Irish border but would require some products being brought to Northern Ireland from the rest of the U.K. to be subject to new checks and controls. The backstop would also involve a temporary single customs territory, effectively keeping the whole of the U.K. in the E.U. customs union. The fear here is that the backstop could leave Britain tied to the E.U. indefinitely with no say over its rules and no ability to strike trade deals with other countries. So, a better solution has yet to be reached. Lesson #7 – What Happens to E.U. Citizens Living in the U.K. and U.K. Citizens in the E.U.? The agreement between the U.K. and the E.U. is to provide a certainty to the 3.2 million E.U. citizens living in the U.K. and enable them to keep living and working in the U.K. as they are doing now. Their rights and privileges will be secured by law and enforce by the courts. Likewise for U.K. citizens living elsewhere in the E.U. To accomplish this, the U.K. government is launching an online system to allow E.U. citizens to apply for settled status. Coupled with employment is the U.K.’s goal of seeing a reduction of immigration to sustainable levels, levels over which there is much debate. Eventually people that want to work in the U.K. from the EU will need visas, the same that is need now by people coming into the U.K. from places other than the E.U. It is interesting to note the immigration by E.U. citizens into the U.K. has fallen since the Brexit vote. 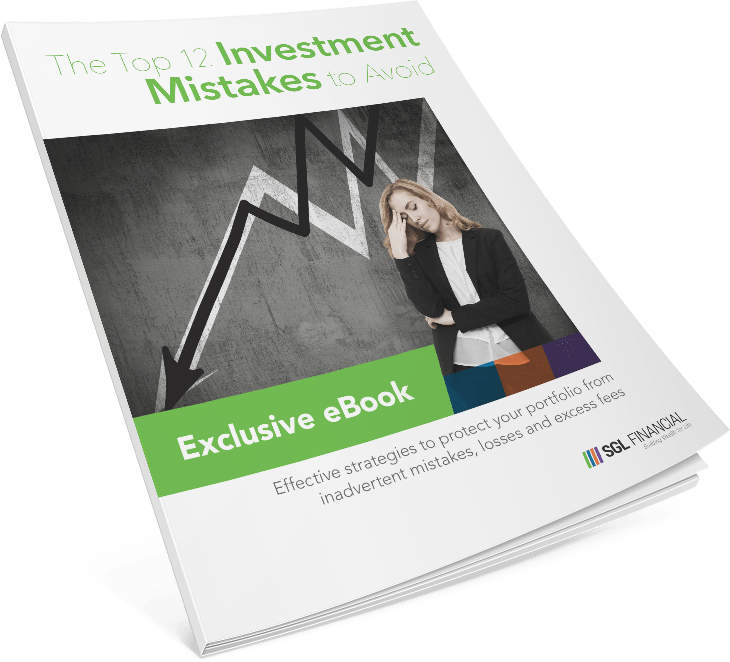 Lesson #8 – How Has the U.K. Economy Faired Since the Brexit Vote? When the Brexit vote was taken many thought there would be economic crises in the U.K. That did not happen. The economic growth of the U.K. in 2016 and 2017 was 1.8%. In 2018 it slumped to 1.1% which is second only to Germany in relation to other industrialized nations which are part of the G7. Inflation rose after June 2016 but has since eased to stand at 2.2%. Unemployment has continued to fall, to stand at a 43-year year low of 4%. Annual house price increases have steadily fallen from 8.2% in June 2016 to 2.8% in the year to November 2018, according to official ONS figures. This is the lowest annual increase in prices for five years, but it is still higher than inflation so property continues to show “real terms” increases in prices. 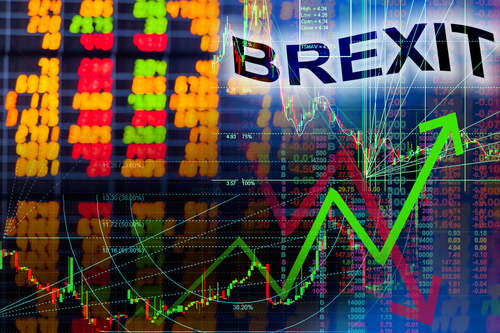 Lesson #9 – How Will the Stock Market React to Brexit? Well, it depends. Remember, the stock market is not always rational but usually doesn’t like uncertainty, something of which Brexit has a lot to offer. For example, there is little clarity on trade and regulatory relationships between the U.K. and the rest of the world. Some have even posited a scenario in which foreign motorists will need a green card simply to purchase auto insurance, or the U.K. suffers a shortage in certain medicines. The U.K. government itself has estimated that Britain’s economy will shrink 3.9% over the next 15 years because of Brexit. That figure depends on an orderly exit with the withdrawal agreement ratified. However, a hard Brexit, one without an agreement, could result in an ugly 9.3% decline for the U.K. economy over the next 15 years. That’s very bad for Britain, but clearly also for the rest of the world when the No. 5 economy, ranked by gross domestic product, suffers such a contraction. So, what is Brexit’s impact on the financial industry? In the words of SEC Chairman Jay Clayton: “The potential adverse effects of Brexit are not well understood and, in the areas where they are understood, are underestimated.” That should tell you right away that Brexit is not just a U.K.-E.U. issue, if America’s top market regulators are sounding the alarm.